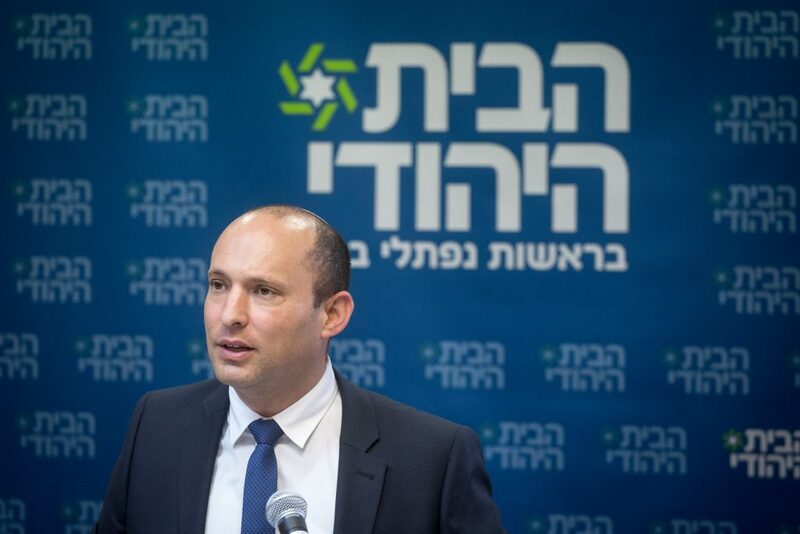 The furor over Deputy Attorney General Dina Zilber’s criticism of the right-wing government entered its second day on Wednesday as Education Minister Naftali Bennett said he will boycott meetings where she is in attendance. “I declare that if Zilber isn’t fired, as long as she arrives at government meetings we will leave and not participate in the meeting while she is there,” Bennett said in an interview with Channel 2. “Her role is to provide legal advice, not to educate us. She suffers from megalomania and it’s clear that her words are political. Let her resign and run for politics if she wants to. She’s done advising us,” the Jewish Home chairman said. On Tuesday, Justice Minister Ayelet Shaked demanded she be suspended from her position representing the ministry in the Knesset or High Court, until Attorney General Avichai Mandelblit finishes investigating her. The demand came after Zilber spoke in opposition to the Cultural Loyalty Bill, which would deny funding to subversive programs, and a general swipe at the, in her view, divisive policies of the right. “The Attorney General or someone on his behalf can come and present an opposing legal position, but not political positions,” Shaked said at The Marker‘s Road Safety Conference. “If a senior public official wants to enter into political issues, he should resign and join one of the parties or an NGO. It cannot be done as part of the advisory function to the government. However, it was not clear who has the authority to dismiss Zilber. While the Justice Minister is superordinate to the Attorney General in the government hierarchy, the latter exercises powers independent of the former as the executive branch’s highest legal official. “There’s an argument about the Attorney General’s powers. We are divided on the matter of Dina Zilber. The bottom line is that right now she is not attending the Knesset and government until the Attorney General finishes investigating her, which is the bottom line and that’s what matters,” Shaked said. Mandelblit asserted that the authority to retain or dismiss the deputy attorney general rests with him, as attorney general. “A decision on the appearance of a legal entity subordinate to me is a decision that is subject to my authority and my exclusive responsibility, and there is no room for intervention in this authority,” Mandelblit wrote in a direct rebuff to Shaked. “I intend to examine the statements in your letter and later I will update you on how I find it appropriate to act on the subject,” Mandelblit said. However, Mandelblit did agree that while the matter is pending, Zilber will not participate in Knesset committee deliberations and government discussions without his express permission, according to The Jerusalem Post.